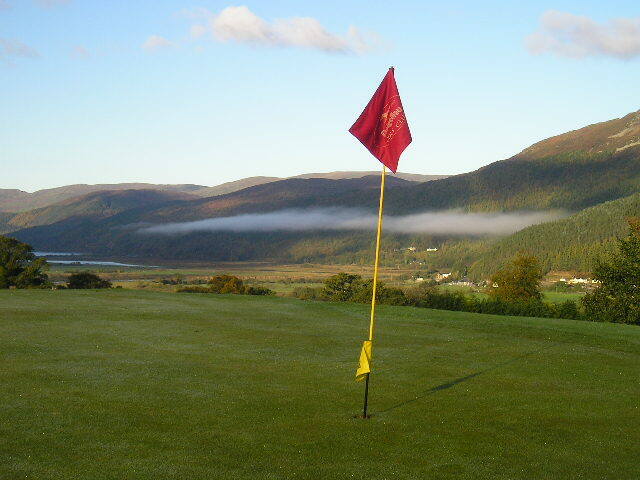 Dolgellau Golf Course is a family run club, with friendly staff and a welcoming relaxed atmosphere. Set in the beautiful Snowdonia National Park in North Wales, it makes a ideal day out. Whether you live locally or are just visiting, golfer or non golfer, the course and club house have something to offer everyone. The course is overlooked by Cader Idris, one of the highest mountains in Wales, with stunning views looking down over the Mawdaach estuary. The club and beautiful parkland course were founded in 1911. Although not a long course, the small well protected greens offer a real challenge to golfers of all abilities. Non-golfer, tourist, walkers or children are all welcome.. , the clubhouse is open to all and boasts a varied home cooked menu and fully licensed bar, plus outside decking for when the sun is shining. "...what can you say, a course well looked after, the greens small but correctly proportionate to the fairways were in fantastic condition, as too the fairways. The course itself was laid out with thought and would test any golfer what ever standard, yet to some one like me who does not play often still provided an enjoyable game. We liked it so much we returned the next day for another 9 holes. Its a pity you are so far away from where we live else we would join. We will be back and once again thank you." Thanks to Steve Humpherson from Wolverhampton for providing our home page review. & events in Dolgellau for all. Copyright © 2019 Dolgellau Golf Club. All Rights Reserved.